28" x 34" multi-pocket learning center is big fun. Great visual for practicing letter and sound identification, word building and spelling. Includes 156 picture cards, 52 uppercase / lowercase letter cards, 4 blank cards and activity guide. 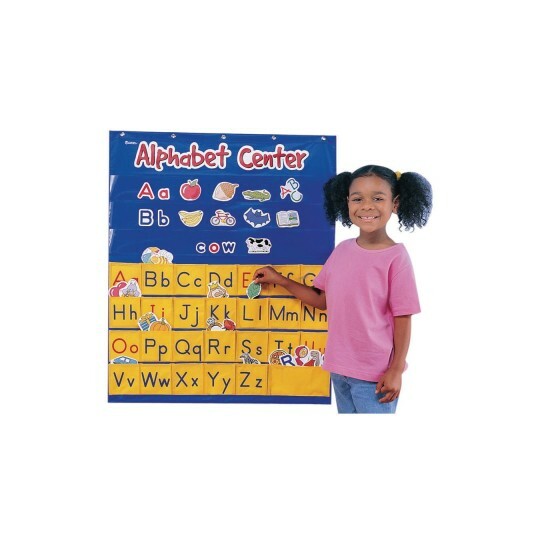 This is great for helping learn the letters of the alphabet. It helps reinforce what starts with what letter. Kids love to put the items in the pocket.